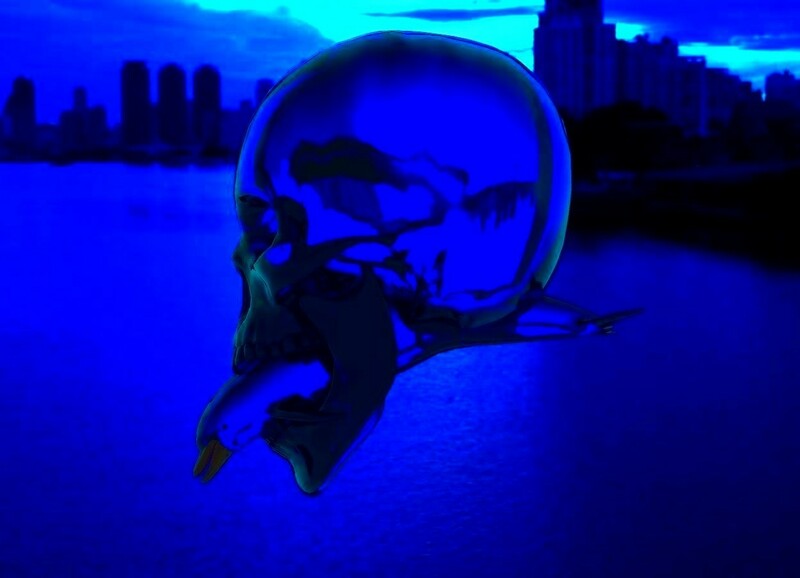 Input text: There is an enormous clear blue skull. a clear blue dolphin is 10 feet in the skull. the dolphin leans 45 degrees to the front. the sun is cyan. the camera light is blue. a purple light is in front of the dolphin.